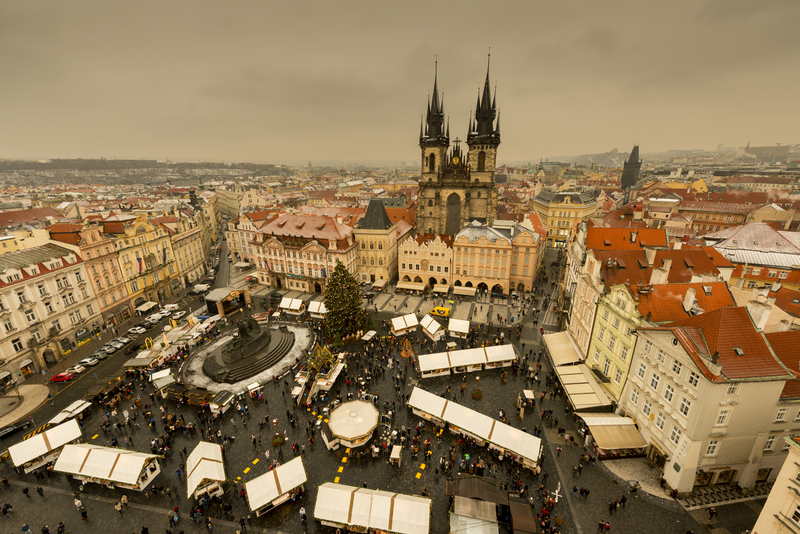 Prague, nicknamed “the City of a Hundred Spires”, is the capital city of the Czech Republic. It is known for its Old Town Square, with colorful baroque buildings, Gothic churches and the medieval Astronomical Clock. The Vltava River runs thru this city which is considered one of the Europe's most charming, colorful and beautiful cities. Charles Bridge - completed in 1402, this pedestrian Bridge is lined with statues of Catholic saints. The Dancing House (Tančící dům) - a modern architectural creation built between 1992 and 1996 and designed by Frank Gehry. The Astronomical Clock (orloj) - an early 15th-century clock which has 12 Apostles which appear and parade in procession across the clock face every hour. Prague Castle (Pražský hrad) - once the home of Bohemia's kings, is today the official residence of the Czech Republic's President.